As the U.S. Federal Aviation Administration (FAA) analyses Boeing's plans for a software fix prompted by the first crash five months ago, the European Union's aviation safety agency EASA promised its own deep look at any design improvements. "We will not allow the aircraft to fly if we have not found acceptable answers to all our questions," EASA Executive Director Patrick Ky told an EU parliament committee hearing. Canada said it would independently certify the 737 MAX in the future, rather than accepting FAA validation, and would conduct an "exhaustive review" of the automated flight control system in MAX aircraft, known as MCAS, which experts believe may have played a role in both crashes. Canada also said it would send a team to help U.S. authorities evaluate proposed design changes and decide if others were needed. Boeing Co declined to comment. The company on Tuesday reshuffled the top executives in its commercial airplanes unit to focus on the accident investigations. 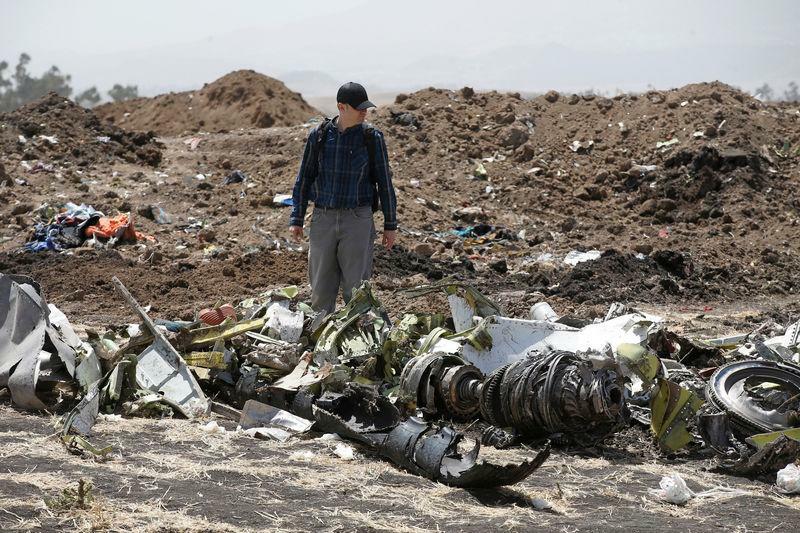 U.S. government officials do not believe the two crashes will lead to a worldwide shift away from FAA certifications but U.S. lawmakers, as well as federal prosecutors, are scrutinising the certification of the Boeing 737 MAX. The chairman of the U.S. House of Representatives transportation committee and another key Democrat asked the Transportation Department's inspector general on Tuesday to examine key decisions made by the FAA in certifying the 737 MAX jet for use. The FAA declined to comment on that request or on actions taken by other countries, but said in a statement that “the current, historic aviation safety record in the U.S. and globally is achieved through the FAA’s robust processes and full collaboration with the aviation community." The U.S. Transportation Department's inspector general plans to audit the FAA's certification of the jet, an official with the office said on Tuesday. The office can recommend changes or improvements to how the FAA operates. Boeing said it would cooperate with the audit. Black box data was downloaded in France but only Ethiopian experts leading the probe have access to the dialogue between Getachew, 29, and Mohammed, 25. The data was back in Addis Ababa on Tuesday, sources familiar with the probe told Reuters. Experts believe the new MCAS system, which is designed to stop stalling by dipping the nose, may have been a factor in both crashes, with pilots unable to override it as their jets plunged downwards. Both came down just minutes after take-off after erratic flight patterns and loss of control reported by the pilots. However, every accident is a unique chain of human and technical factors, experts say. The prestige of Ethiopian Airlines, one of Africa's most successful companies, and Boeing, the world's biggest planemaker and a massive U.S. exporter, are at stake. Pressure on Chicago-headquartered Boeing has grown with news that federal prosecutors are scrutinising how carefully the MAX model was developed, two people briefed on the matter said. The U.S. Justice Department is also looking at the FAA's oversight of Boeing, one of the people said. And a federal grand jury last week issued at least one subpoena to an entity involved in the plane's development. U.S. President Donald Trump plans to nominate former Delta Air Lines executive Steve Dickson to head the FAA on Tuesday. The agency has been without a permanent head for 14 months. Development of the 737 MAX, which offers cost savings of about 15 percent on fuel, began in 2011 after the successful launch by its main rival of the Airbus A320neo. The 737 MAX entered service in 2017 after six years of preparation. Argus Research cut Boeing stock to "hold" from "buy", giving the planemaker at least its fourth downgrade since the crash, Refinitiv data showed. Its shares rose 0.3 percent on Tuesday, to close at $373.43. They are still down more than 11 percent since the crash in Ethiopia. "I'm just so terribly sad. I had to leave here without the body of my dead brother," said Abdulmajid Shariff, a Yemeni relative who headed home disappointed on Tuesday.